A quality performance exhaust system is only part of the story as it all comes down to details. These are small accessories and hardware like hangers, couplers, brackets, and gaskets that hold all the parts together and ensure leak-free operation. And they need some real attention just like the major exhaust parts. Hardware and accessories must be strong enough to withstand a large amount of stress that temperature extremes and vibration place on them. Cherry Bomb offers a full selection of hardware pieces to complete the exhaust installation. Whether you need OE-style replacement parts for a repair job or components for a custom fabrication project, you’ll find what you need in their product lineup. It includes universal and direct fit components sold separately and available in bulk, all precision manufactured for an exact fit and durability. 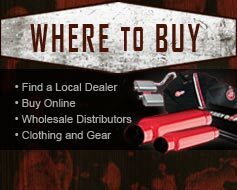 They have you covered with all types of exhaust pipes, connectors, hangers, clamps, adapters, and complete hot rod builder kits. For any of your exhaust hardware needs, you can rely on the originator of the legendary Glasspack muffler, the company that sets standards in American exhaust parts. Cherry Bomb X-Pipes, Y-Connectors, and elbows are made from aluminized steel and mandrel bent for better exhaust flow. Universal X-Flow pipes operate similarly to H-pipe balance tubes but improve performance by increasing the effect of scavenging and optimizing exhaust gas pressure pulses. The result is an increase in power output and better noise reduction. 360º hangers are manufactured from knurled steel coated with zinc to increase strength and service life, while their special construction ensures installation flexibility. Flex couplings by Cherry Bomb feature 2-ply bellows, convoluted internal core, and optional inner braid for sturdiness, flexibility, minimum vibrations and maximum exhaust leak protection. The hardware is what bears the brunt. Make sure yours is strong enough for the job. Choose from a complete line of exhaust accessories and hardware by Cherry Bomb available in a range of styles and sizes. Yep Maserati couldn't stand aside after all those Cayennes and Bentaygas. But I'm pretty much convinced a sports car maker can't build a proper SUV. All information regarding products, software, company names, brand names, trademarks and logos is the property of their respective owners! © 2004-2018 Cherry Bomb Exhaust Systems. All rights reserved.